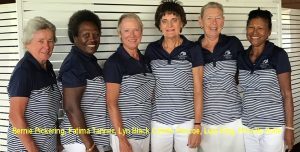 Maroochy River Women enter the Pennant competition in the North Coast Zone of the Sunshine Coast Burnett and District. Maroochy River Women hope to continue their Pennant success in 2019. In 2019 Maroochy River is fielding three mid-week teams (Division 1, Division 2 and Division 3) and one weekend team in the North Coast Zone of the Sunshine Coast Burnett and District. In 2018 Maroochy River fielded three mid-week teams (Division 1, Division 2 and Division 3) and one weekend team in the North Coast Zone of the Sunshine Coast Burnett and District with considerable success. CONGRATULATIONS to the 2018 Division 1 team (Photo right) who were runners up in their Division, and went through to WIN the District Silver Pennant. CONGRATULATIONS to the 2018 Division 2 team who were runners up in the North Division, and a point behind the winners, Nambour. CONGRATULATIONS to the 2018 Division 3 team who came third on count back, but still only half a point behind the winners Cooroy. CONGRATULATIONS to the 2018 Weekend team who performed well in a strong competition. 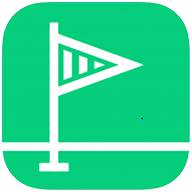 For more information, please contact Pennant Coordinator, Lyn Black.